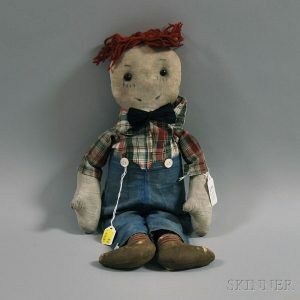 Since Raggedy Andy first appeared in print in 1920, he has delighted millions of readers with his adventurous spirit and compassionate nature. Now he returns to captivate a new generation in this carefully produced reissue, which restores the book to its original appearance. All the original stories are here, as Raggedy Andy arrives in the mail at Marcella’s father’s office, displays his cheery smile, and is eagerly reunited with his sister, Raggedy Ann. 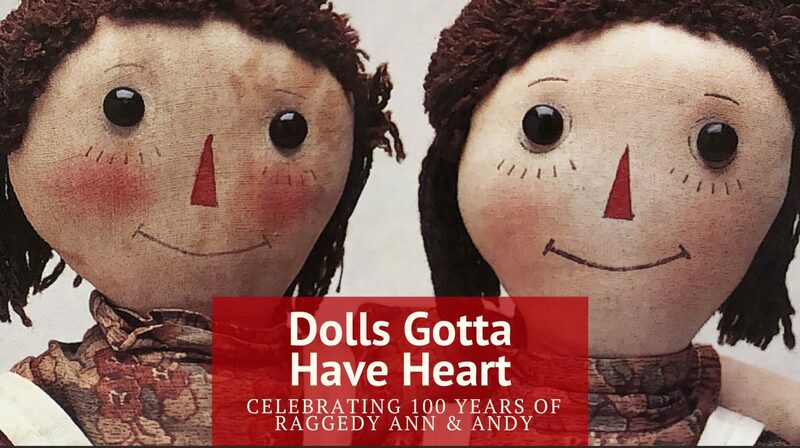 After a warm welcome from the other dolls, Raggedy Andy adds to their fun with a dance, a pillow fight, and a taffy pull. His merry escapades frequently show his generosity in helping others, as he bravely ventures into the gutter to find the penny dolls, “cures” the French doll, and encourages the wooden horse. Other stories also include Raggedy Andy and the other dolls’ encounters with the Easter bunny, Santa Claus, and a beautiful seashell. Johnny Gruelle’s delicate illustrations are the perfect companion to the well-loved stories in this American classic, the only edition authorized by the Gruelle family. A brief biography of the author-artist by his grandson, Kim Gruelle, makes this edition especially valuable. Since Raggedy Ann first appeared in print in 1918, she has charmed millions of readers with her always warm and optimistic outlook and calm approach to difficulties. Now she returns to delight a new generation in this carefully produced reissue, which restores the book to its original appearance. All the original stories are here, as Raggedy Ann comes to Marcella’s nursery and quickly becomes the leader of the dolls. After learning a lesson from a naughty raid on the pantry, Raggedy Ann’s adventures show her striving to be good — and succeeding. She and the other dolls rescue Fido, the family dog, from the dogcatcher. When, in one adventure, Raggedy Ann has to have her stuffing replaced, she gets her famous “I LOVE YOU” candy heart. 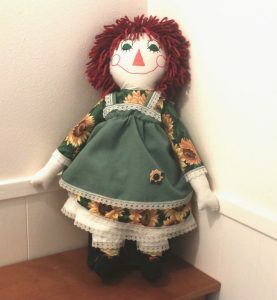 Raggedy Ann also goes up in a kite, teaches two new dolls to be tolerant, and shares the excitement of a baby brother for Marcella, among several other tales. Johnny Gruelle’s delicate illustrations are the perfect companions to the well-loved stories in this American classic, the only edition authorized by the Gruelle family. A brief biography of the author-artist by his grandson, Kim Gruelle, makes this edition especially valuable. More to come on our blog!